All the facts, secrets, and general knowledge you could possibly wish for - not to mention some great places to eat nearby. There are about 20 kremlins in Russia, but when people hear the word “kremlin” they automatically think about Moscow’s seat of power. Get ready to soak up everything you wanted to know about this magnificent complex. When was the Moscow Kremlin built? The first settlements on the territory belong to the Bronze Age (2nd century BC). The “grad of Moscow” itself was founded in 1156 by Prince Yuri Dolgorukiy and was made out of oak. From 1366 to 1368 Dmitry Donskoy replaced the wooden walls with white limestone. The existing fortress walls and towers were built from 1485 to 1495. Grand Prince Ivan III invited a number of skilled architects from Italy to do the job. The Kremlin has always been the tsar’s residence until Peter the Great’s reign: He had aspirations to found an entire city for himself, hence St.Petersburg was born. Bolsheviks seized power in 1917 and the northern city was stripped of its capital status – which was passed to Moscow by the Soviet government headed by Vladimir Lenin. The Kremlin once again became the heart of power. The 1917 Bolshevik uprising in Moscow took many lives, and the fortified complex next to St. Basil’s Cathedral came under heavy artillery fire. During the Soviet period 28 of the original 54 buildings within the walled complex were destryoed (click here to read about 10 monuments Russia has lost through the ages). In 1947, under Stalin's order the walls of the stronghold were painted the color of the Revolution and Communism, red. In 1955 the Kremlin once again opened its doors to the public (the first ruler to do this was Nicholas II). In 1961 the Kremlin’s museums were established and the current director of these institutions is Yuri Gagarin’s daughter Elena. Since 1991, the Kremlin has been the residence of Russia’s president. How big is the Kremlin? What are the buildings in the Kremlin? Over the centuries a handful of churches and monasteries have appeared on the Kremlin's territory and formed the Cathedral Square. Today the square numbers six buildings, including three cathedrals. Every monument in the Kremlin ensemble has a special role, but none is more prominent than the Cathedral of the Archangel Michael. It was built from 1505-08 as part of a construction campaign launched by Ivan III. Almost all Muscovite monarchs from Ivan Kalita to Ivan V have been laid to rest inside. The Tsar Cannon – the largest cannon in the world. The Tsar Bell – the royal companion of the Tsar Cannon – like the cannon, it’s the largest in the world. Monument to Grand Duke Sergei Alexandrovich of Russia – the son of Emperor Alexander II, who died in a terroristic attack in 1905. Visiting the Moscow Kremlin should also include visiting its museums. There you can find Monomakh’s Cap (one of the oldest artifacts of state regalia), the coronation dress of Empress Alexandra Fyodorovna, her scepter and orb, and many more fantastic pieces. It’s a good idea to download the “Moscow Kremlin Museums” app before visiting. It is full of useful information. In case you have already seen the main attractions and visited all museums in Kremlin, here’s a guide to some secrets you may have missed. What are the Kremlin’s symbols? Red walls, red towers, and for sure, red stars on top of the towers. Did you know they are symbols of the country’s communist past? Before the stars were installed in 1937, two-headed eagles watched over Moscow symbolizing the Russian Empire. Here are nine facts about the Kremlin’s stars. 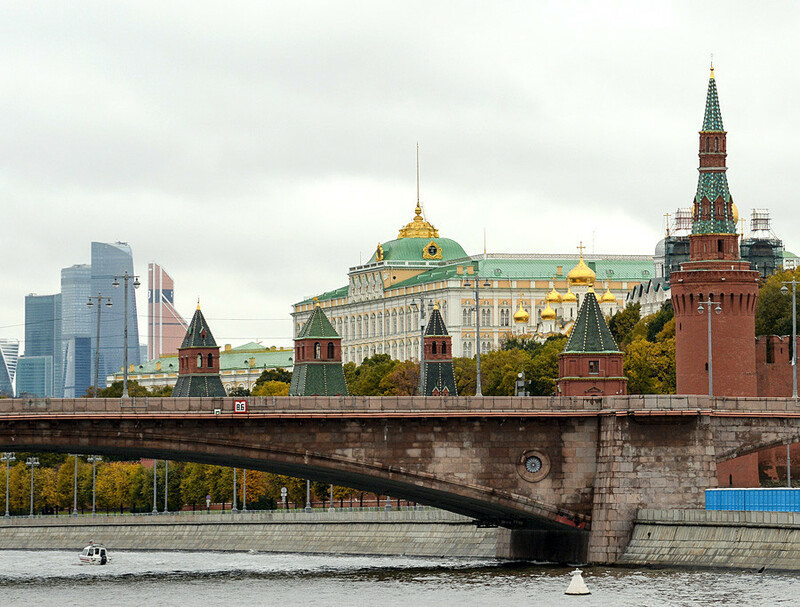 Another defining aspect of the Kremlin and Moscow is the clock on Spasskaya Tower. For Muscovites it’s also an important symbol of the New Year holiday: The ringing chimes at midnight officially welcome in the new year, and according to tradition, wishes made between the first and last ring will come true. 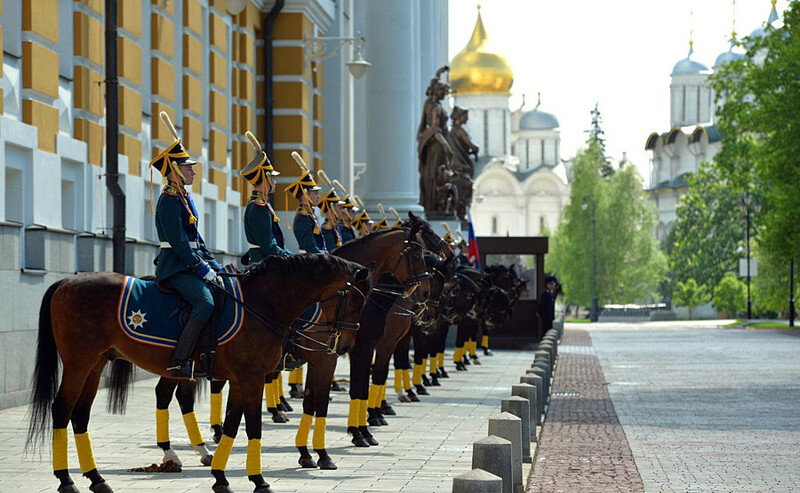 The Kremlin Regiment is a military unit that’s unique and elite in every respect. It is responsible for the protection of government officials and subjects of the Kremlin. Every day, hundreds of Russians and foreigners visit the Eternal Flame and the Tomb of the Unknown Soldier, where the Kremlin’s soldiers carry out their duty. The regiment also appoints the honor guard for meetings with foreign delegations. Naturally, not just anyone can become part of this regiment. Click on this link and find out if you’re up to the job or not. It’s one of the most interesting questions, the answers to which is no and yes (theoretically) – but we don’t suggest you try it unless you fancy time in a Russian slammer. Russia Beyond has all the answers for you here. You can also read about the guy who dug a tunnel underneath the Kremlin here. After touring the heart of Russia’s government you’ll no doubt be hungry, so here are some tips on where to grab some food nearby. And don't forget to learn what Soviet leaders from Lenin to Gorbachev ate! 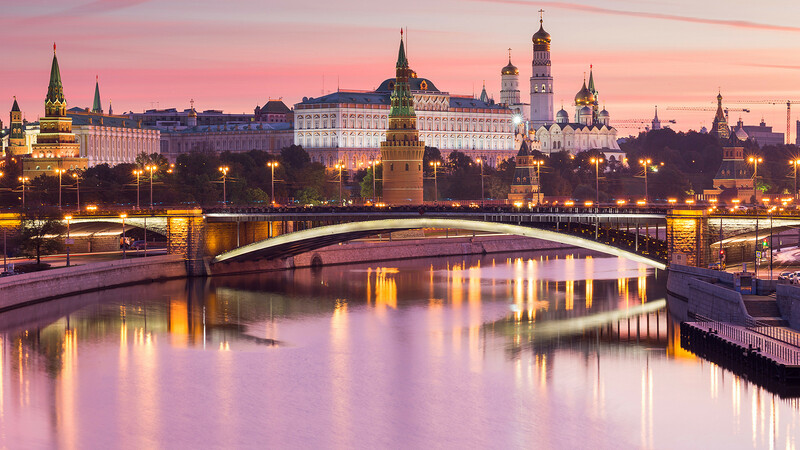 You’ve just read a lot about Moscow’s Kremlin – now it’s time to check how much you know about it! “All you want to know…” is an extended guide to the most popular topics about Russia. We constantly work on new material, and this page will regularly be updated with new entries and information.